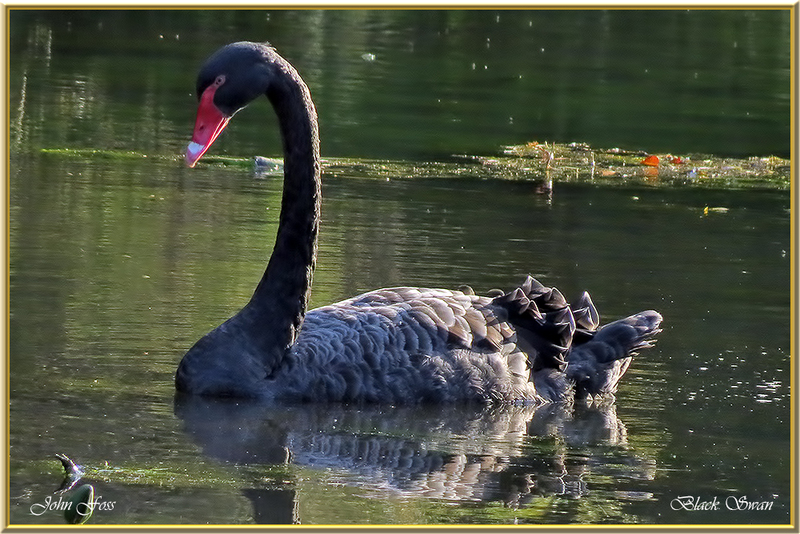 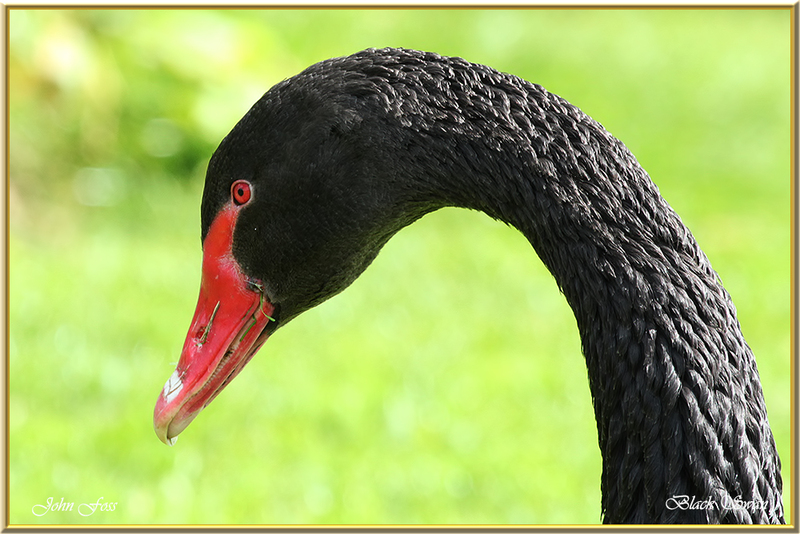 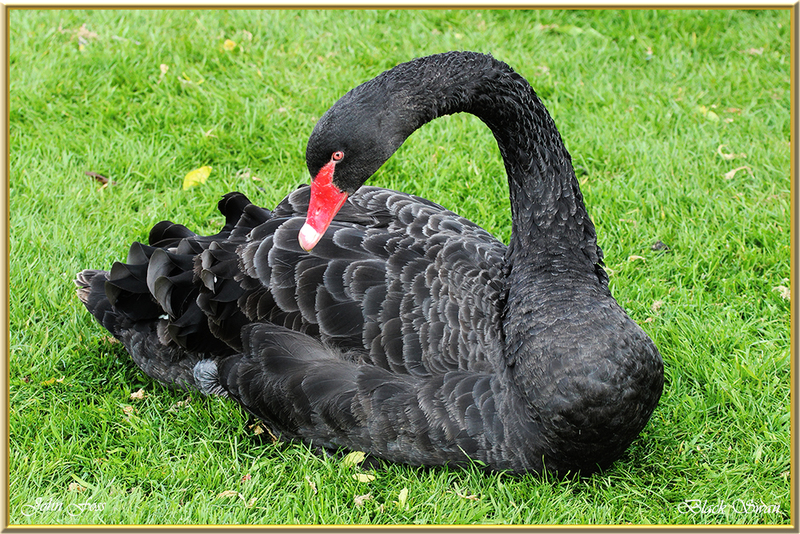 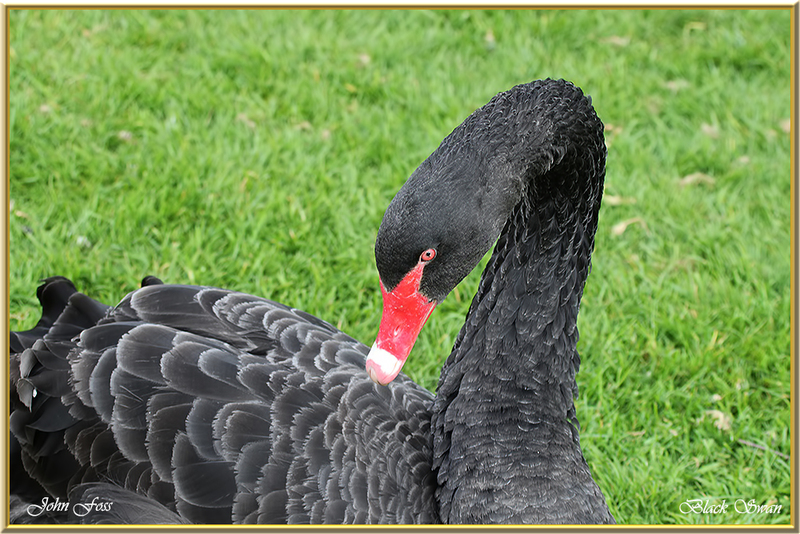 Black Swan - Native to Australia where they have an erratic migration pattern dependant on the climate condition. 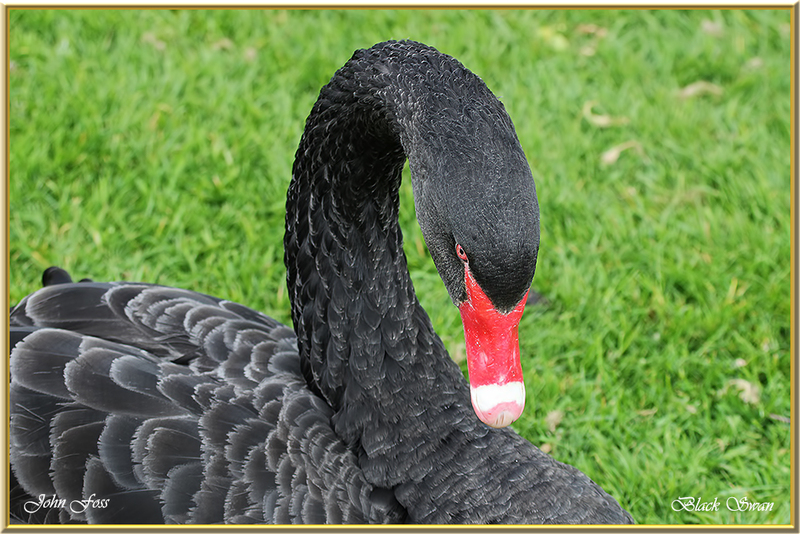 A few of these swans, obviously escapes, exist around the UK and Ireland where they have formed a few stable populations. 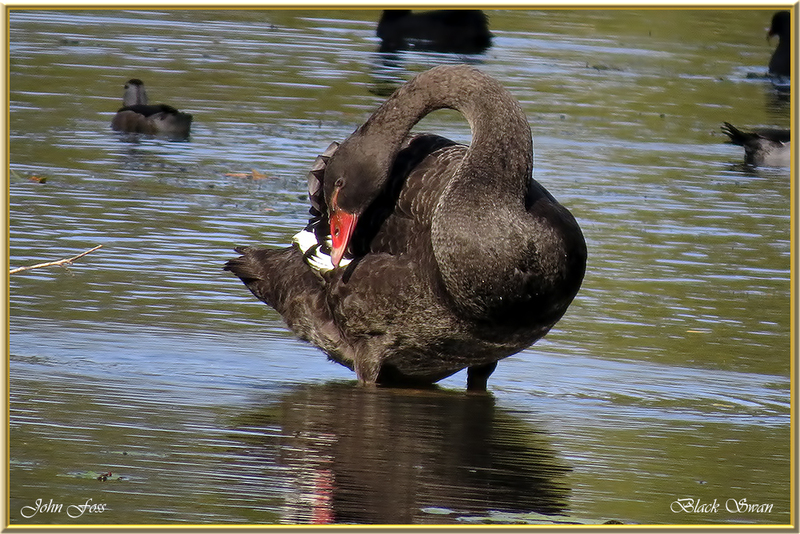 These birds were photographed at Baldwin Swamp Bundaberg Australia and a Staffordshire lake in the UK.